November 20, 2012 - Only a select few Marvel characters have been given "Through the Ages" box sets entirely dedicated to them: Iron Man, Captain America, Wolverine and soon Venom will make the cut. Well, the next "Through the Ages" set has been announced by Diamond Select Toys, and it features Marvel's heaviest hitter, the Hulk! 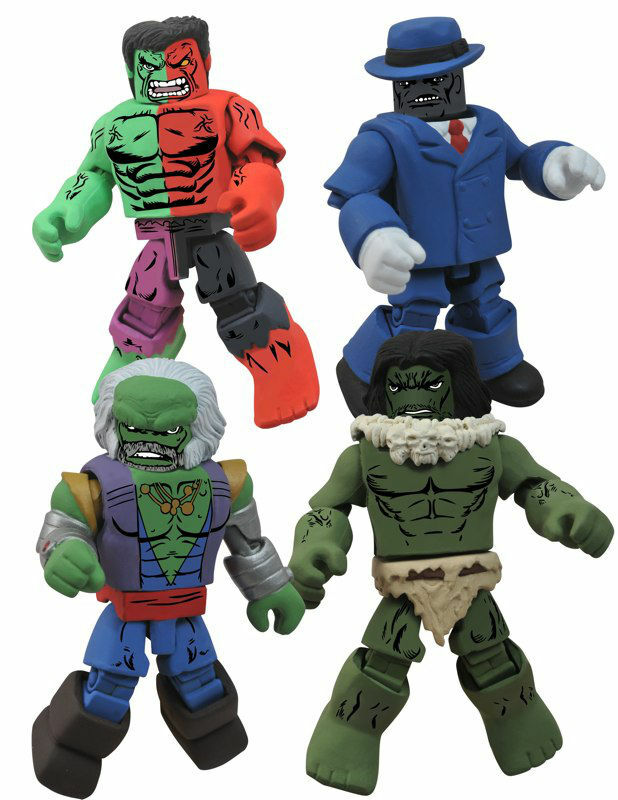 Hulk up your Minimates collection with these four legendary and exciting new Hulks! - Composite Hulk, when he was briefly merged with his red counterpart.